As a millennial myself I can honestly say when it came to insurance I didn’t know much. All I knew was I had to pay a bill every 6 months, and it had something to do with protecting my car in case of an accident. Now that I think about it more I realize I probably should’ve put more of an effort into understanding where my money was going. I mean, I could’ve been paying hundreds of dollars for absolutely nothing, and I wouldn’t have known a thing. It wasn’t until my first year at college that I started to ask about insurance. I’ve seen hundreds of ads and commercials regarding insurance but never cared to pay attention to what was being said. I always thought of insurance as something “older people” needed to take care of, and that it had nothing to do with me. Little did I know that insurance was going to be saving me money and protecting my future. So how did I come to finally realizing all of this? I first started asking my parents what insurance was, why I needed it, and what it covered. So, for about 2 more years I was content with what I knew about insurance, and why I had to pay for it every few months. Now, since I started an internship at an insurance agency, I think about insurance in a whole new perspective. In a few years I hope to have a nicer car and my own house. What I wasn’t thinking about a few years prior was how I was going to “protect” everything I had. I never thought about making sure my house was insured if there was a burglary, or that my car was insured if I was hit, or even if I came home from work one day to my house flooded with water. As a millennial, it seems that one day we are just thrown a bunch of responsibilities, and expected to figure them out on our own. I can speak for myself, and many others, that half of the time we have no idea what we are doing sometimes. A perfect example of this is when I was applying for college in high school. I was expected at the age of 18 to know what I wanted to do for the rest of my life; when I normally don’t even know what I will be doing in a week! It seems so silly to me that such an important decision is thrown at us at such a young age, and we are somehow responsible for making the right decision, when we don’t really know much about it. After finally picking my career, my next obstacle will be insurance. My parents can’t keep figuring everything out for me, and making sure I have the best deal. I’ll be the one who must contact an insurance agency to make sure my house, car, etc. is all protected. At first it all seemed pretty simple. I would find an insurance agent, tell them what I think I need, and just like that I’m good! 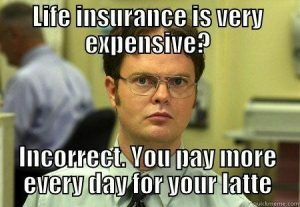 Since having my internship, I realize now there is a lot more behind insurance than I thought. What company do I pick? How do I know I am getting the best rate? What types of insurance coverage do I need? Is all of my stuff protected the right way? A million and one questions that I’m expected to figure out. That’s why I feel as a millennial, insurance is something we can’t put on the back burner anymore. I want to avoid the feeling of having something thrown at me one day, and hoping that I made the best choice. Now I know insurance doesn’t sound exciting, I was thinking the same thing. I’d rather be spending my time at a beach, hanging out with friends, or doing anything else but trying to get insurance. Little did I know, getting insurance is easier than it ever was before. Many insurance companies are transforming themselves to compete with the new and upcoming tech-savvy era. 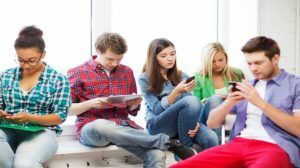 Millennials spend hours on their phone every day, so what better way to get their attention than to use something they’re glued to. When it comes to social media we have Twitter, Facebook, Instagram, Snapchat, Facebook, Pinterest, YouTube, LinkedIn; do I need to keep going? There are so many social media sites that we are constantly trolling and refreshing to stay connected with just about anyone. The best part is many insurance companies are now on most, if not all, of those social media sites trying to gain the attention of new prospects. So in all honesty, how much easier can they make it for us millennials?! Within one click you could be connected to hundreds of insurance agencies online. Not only are insurance companies connected to social media sites, but many of them also give you the option of getting insurance right online; so no more saying you don’t have time for insurance! Now I have some advice for you. As a millennial myself I can speak for at least half of us that we don’t want all of your “junk mail.” If you send me basic letter, that we know you send to just about everyone, in a white envelope, I’m going to throw it out. Now if you send me an email or a postcard, you have a better chance of me at least skimming it over. Millennials don’t want to read all of this information, we want you to get to the point! Post a photo, video, or some eye-appealing graphic on social media and you’ll gain my attention. If I’m going to read something or gain any interest in it, I want it to look appealing. Learn the correct way to market to millennials. When it comes to comparing insurance and millennials they’ve got nothing in common, well that was until now. Insurance isn’t a field that many of us have talked about having interest in, or even pursuing a career in. Well now you should think about this… if you look at most of the people who work in the insurance field, most of them are around 50 years or older. Now what’s going to happen when they start to retire? Insurance isn’t something that is going to just disappear one day, so we need people to learn the business for our sake. aren’t many people to take over the business when people, like our parents, retire from the industry; so you know you’ll get a job! Now if you still aren’t convinced that you should even look into insurance, I don’t know what else to tell you. It may not be the most exciting thing you will do today, but it’s something you’ll be thankful for at some point in your life. There have been too many times in my life that I had wished I had done or thought about something sooner, but insurance won’t be one of them. It’s time to get out of our “millennial slump,” where we think we have more time, or when we just frankly don’t want to do something. Maybe I am a little biased or persuaded to think any of this because I got to work at an insurance agency, but I am honestly thankful for my opportunity. Insurance was a whole new world to me that I never cared to think about before, and my internship was the perfect wake-up call for me. I may not know everything I need to know, but I’ll get there. Now, my purpose of this isn’t to say you need to become a master of insurance, but if anything, get a basic rundown. Don’t just let someone collect cash from you without knowing what it’s going towards. My advice is to wake up millennials! Someday we will be in charge of this world, and when it’s our turn, we need to be ready. No more sliding by the skin of our teeth. Insurance is just one obstacle we will be faced with in life, but it’s something too important to not care. 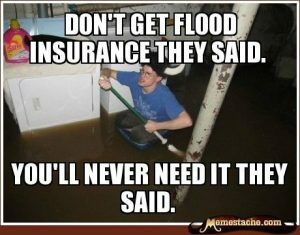 In my opinion, it’s more important now than ever to talk to an insurance company ASAP! Get yourself ahead of the game, there is no time like the present. Ask those “silly questions” you think you know, and talk to different agents. ← Do Small Businesses Need Cyber Liability Coverage?